Suffer from Brain Fog? Word searching? ADHD, focus? Brain Glow is an all natural formula that efficiently passes the blood brain barrier giving it a greater efficiency than other products of its type. It is being used to reduce and or place into remission dementia and alzhiemers. A must for those wanting brain sharpness! Known as a natural Anti fungal, Antiviral, Antibiotic. As an antibiotic it will not create a resistance in your body and can be taken every day! It should be noted less than 1% of the population experiences a small rash that will go away within a day. This is not an allergic reaction, it is a toxic reaction. Una de Gato (Peruvian Cat's Claw) Is known as the herb of openings and closings! If you have difficulty going #2, it works! If you suffer from Irritable Bowel, it works! By reducing systemic inflammation, and promotion healthy flora in the colon, this product has been the go-to for many of my clients! Ever have that mid afternoon sleepiness? This could be a sign of yeast in your body. Pfaffia works with all Chronic Fatigue sufferers as well as those who have the afternoon that mid afternoon slump in energy.. It kills non beneficial yeast and allows you to process and benefit from your afternoon meal. It is also a great systemic Anti Inflammatory. 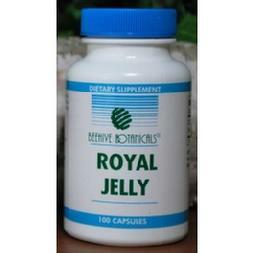 Royal Jelly can lower blood pressure and cholesterol. It can help anxiety, asthma, insomniaamd fatigue. It contains many vitamins and minerals to support a healthy lifestyle. Several studies have suggested that ingesting royal jelly can help promote collagen production. Royal Jelly has been used for thousands of years and has literally hundreds of positive and practical effects on the body. For your complete report please send a self addressed stamped envelope to 1011 S. Lake Street, Neenah, WI 54956 and your report will be sent. WARNING: If you are allergic to BEE products please do not take this product! 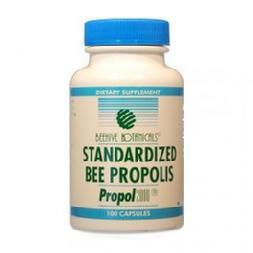 Bee Propolis has anti oxidant, anti bacterial, anti fungal, anti viral, and anti inflammatory properties! Also called, "Bee Glue", anti microbial benefits as well. It supports healthy gums, liver, and combat cancer. It can help cold sores, and Candida. WARNING: If you are allergic to bees, do not take this product! You can view our list of available products by clicking on a subject below. Or, to view a chart that matches subject matter and product, please click here. *Uses have not been tested by the FDA. Not for use by pregnant women. If you are a blood thinner, Please consult your doctor prior to taking one of these products. **To order a supplement not listed above, please email Paris at sessionrequest@parisdrake.com or call (920) 886-9436! DISCLOSURE: Homeopathic products offered by Xanadu New Age are not intended to diagnose, treat, or prevent disease. Always consult with your professional health care provider before changing any medication. Xanadu New Age, Paris Drake, their affiliates and/or staff practitioners do not treat, diagnose, or prescribe products and/or services as they relate to medical conditions. If you have a medical condition, it is strongly recommended you seek the advice of a licensed medical professional.